"Man's education is never complete. While you live, you learn!" COL’s Job Guide contains descriptions of over 500 Australian Occupations. There’s also a separate page so you do a keyword search. These icons idicate the general entry requirements for the occupation. They also link to lists of jobs with the same requirements. Links back to COL’s Job Guide Home Page. Accountants analyse, report and give advice about the financial dealings of organisations and individuals, and advise on associated record-keeping and compliance requirements. Accountants may work on their own or with other accountants. Accountants in private practice have a high level of public contact. Some positions involve travel, which is often interstate or overseas. Icon shows which Interest Area this career “fits”, and links to page with all jobs in that group. icons at top of page. These paragraphs in this section outline the range of education and training needed to prepare for this occupation. Extra info about this occupation is included here if available. This section outlines places that people in this occupation normally work. It may also mention the current supply/demand for the position. The GREEN button links directly to our Job Vacancies section for this occupation. You can SEARCH through the database by using the search form at the bottom of every job description page ? 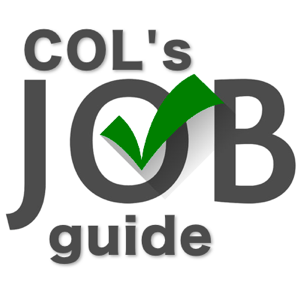 If you spot an error, or have any suggestions to improve COL’s Job Guide, then please contact us. You can also do a keyword search of the jobs in the database here… on EVERY page. Yes, it even works here! This search looks for a match with the WHOLE keyword/s you enter. In other words, abbreviations like vet won’t find veterinarian. Slang terms like brickie won’t locate bricklayer ? Lots of info to play with in there. 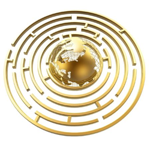 You’ve FINISHED Section 2 – Job & Course Info. Get started on compiling Your Resume.